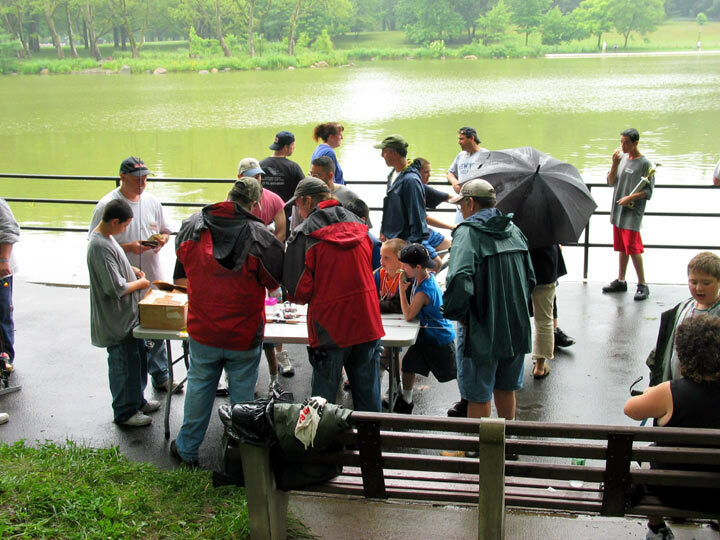 Fishing Festival, a success despite the weather. 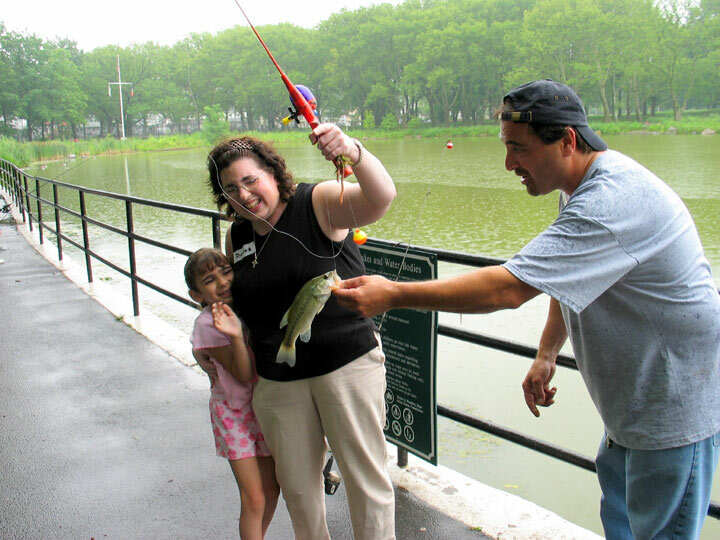 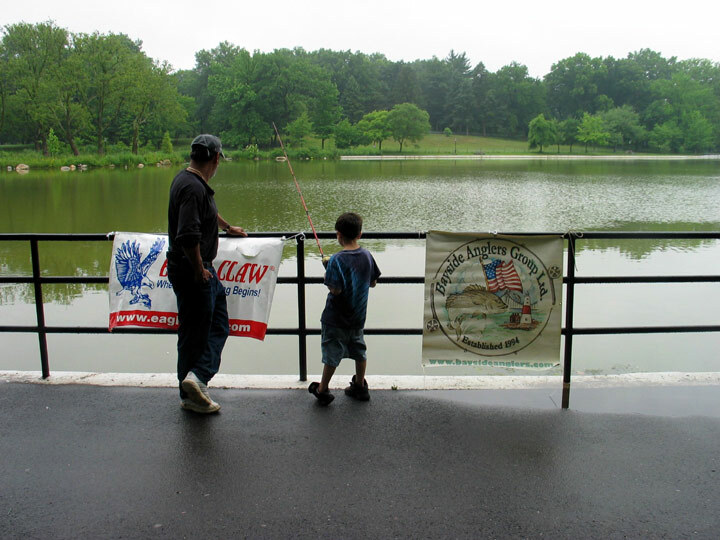 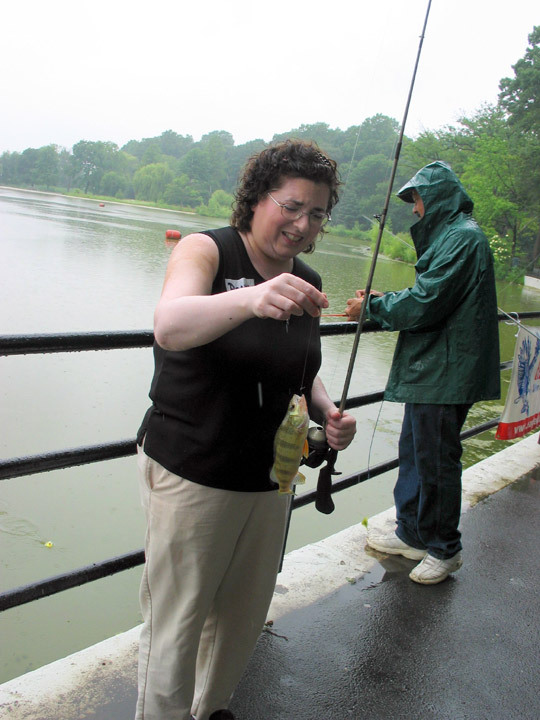 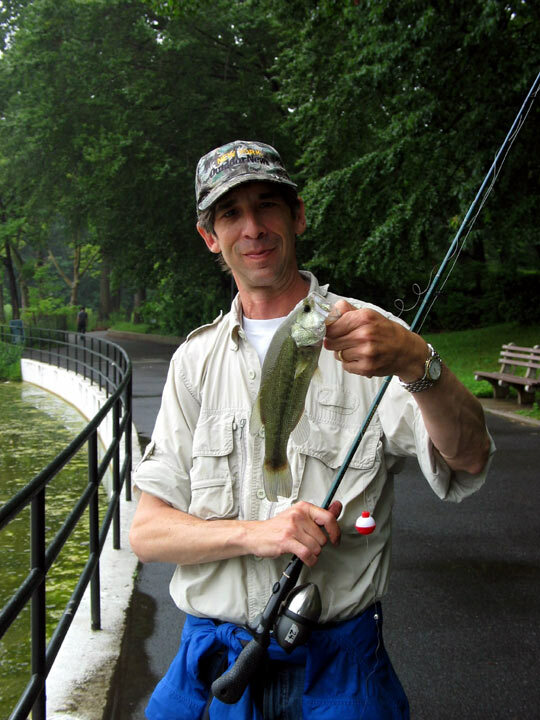 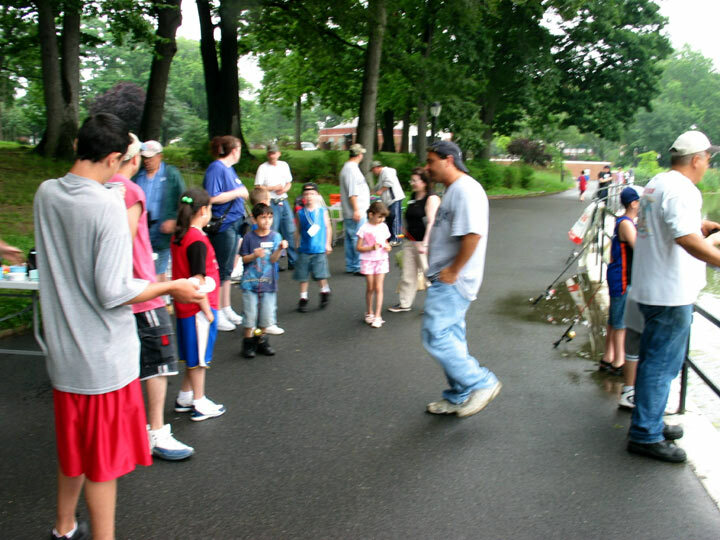 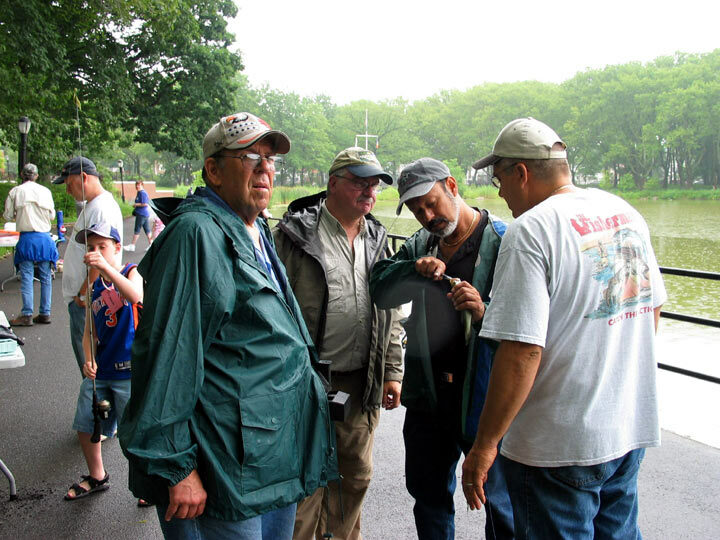 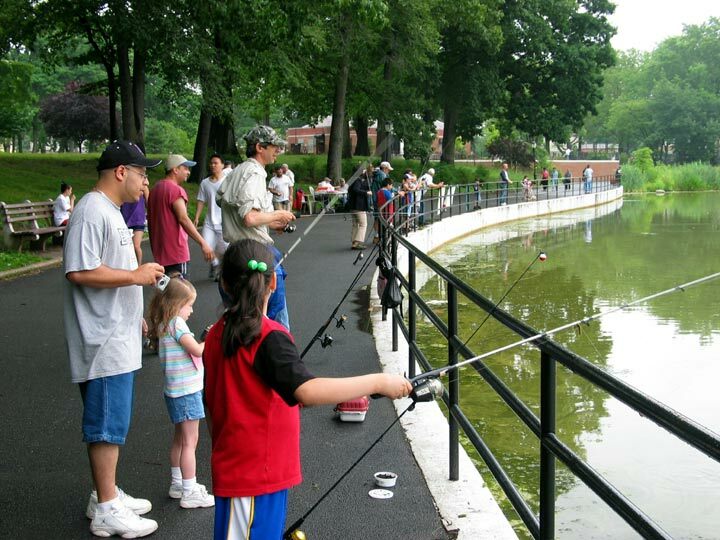 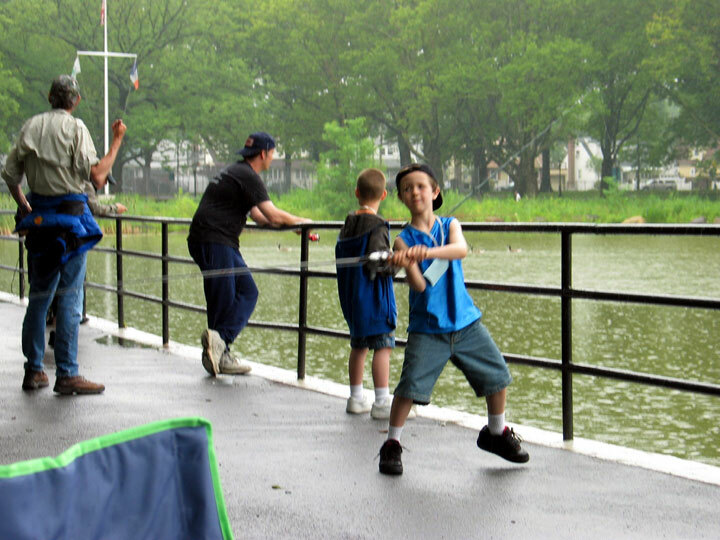 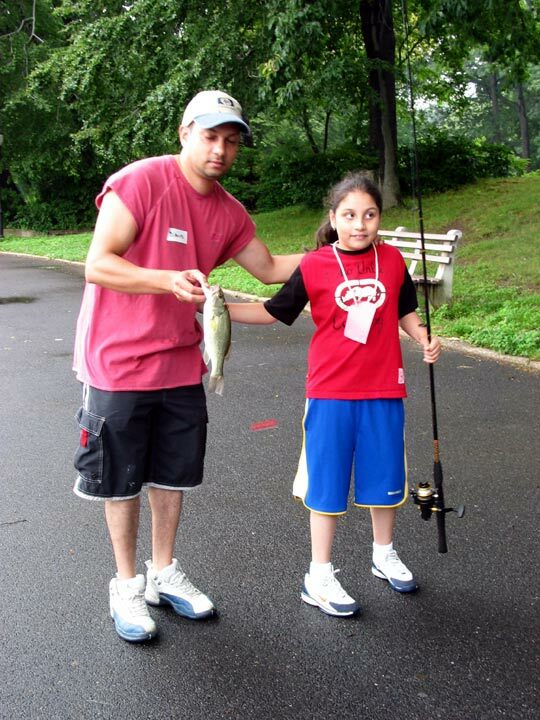 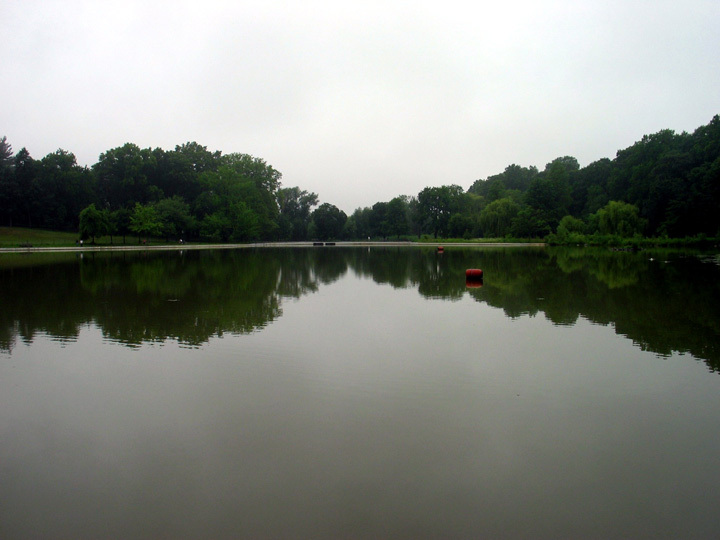 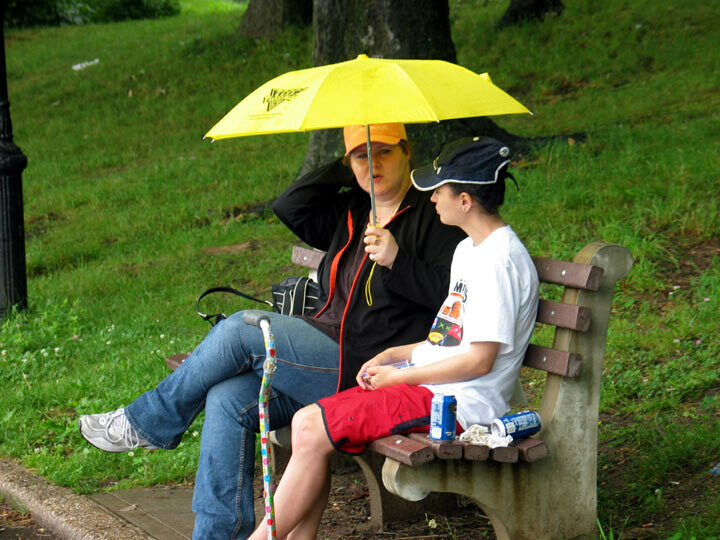 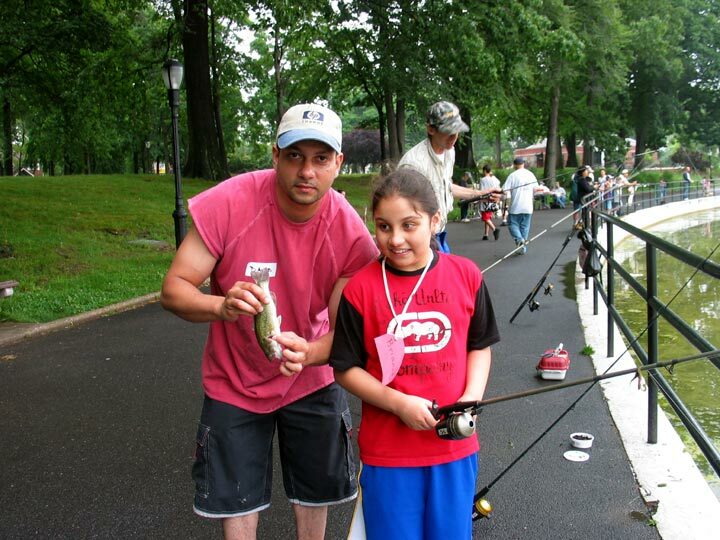 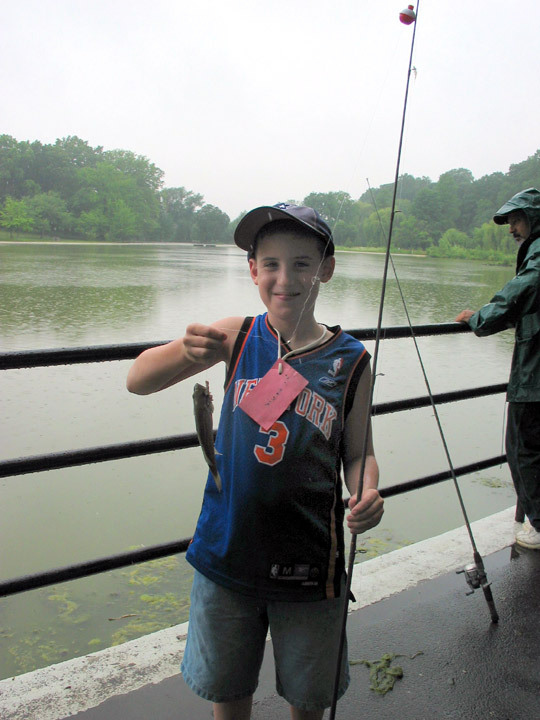 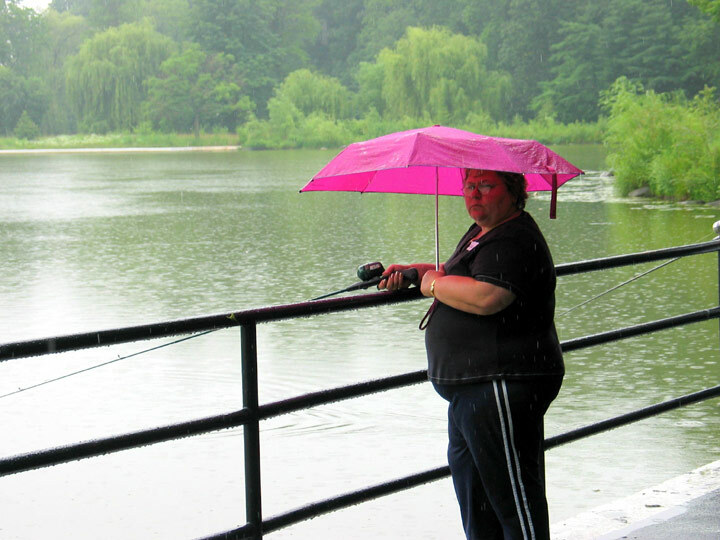 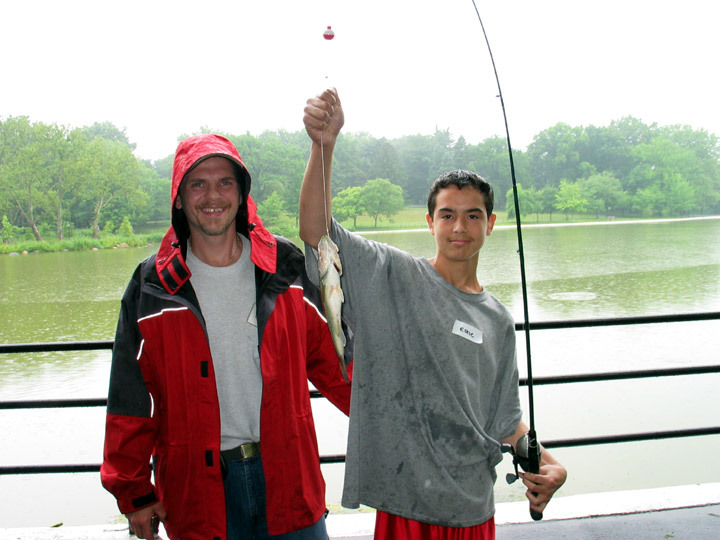 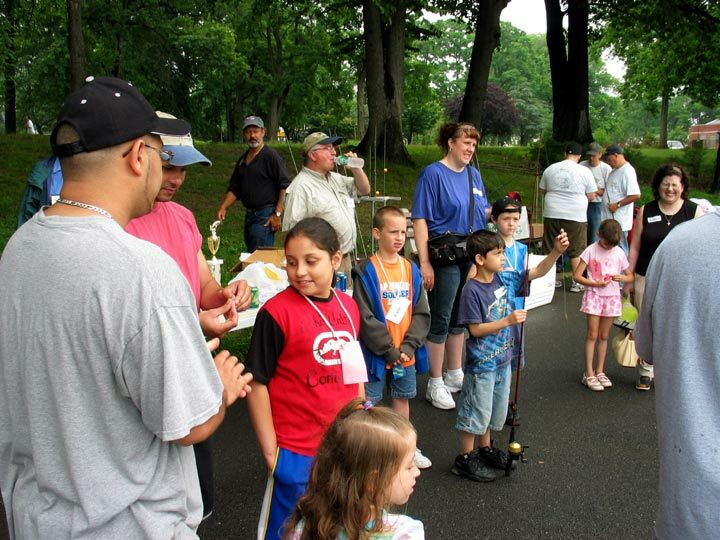 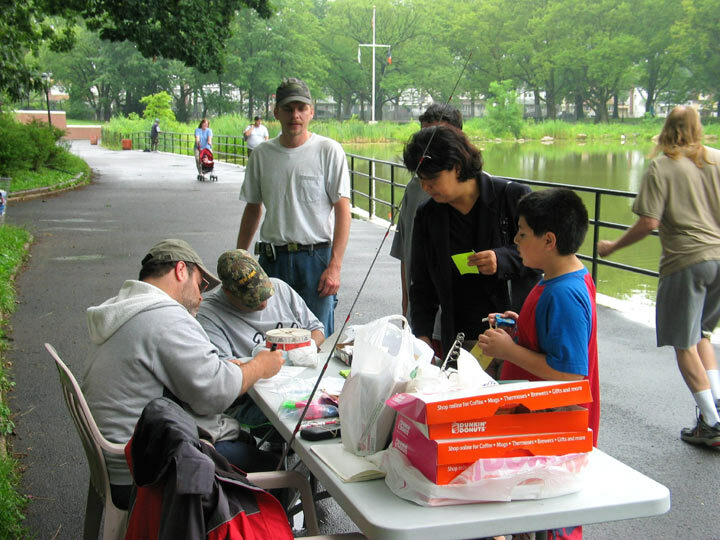 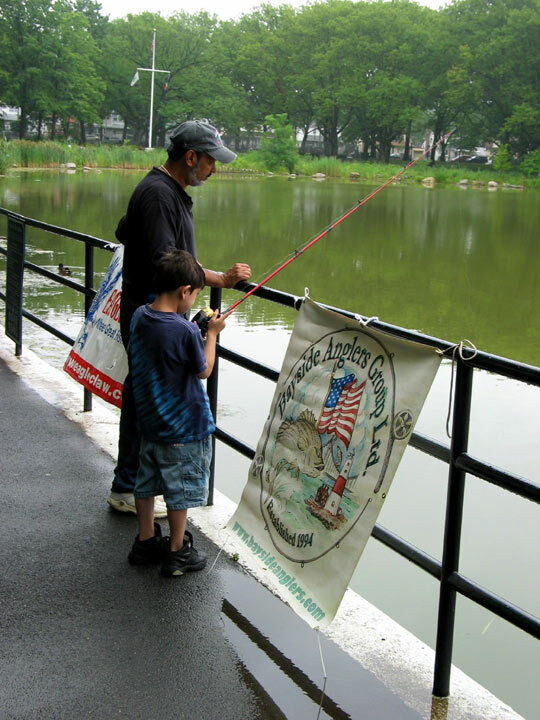 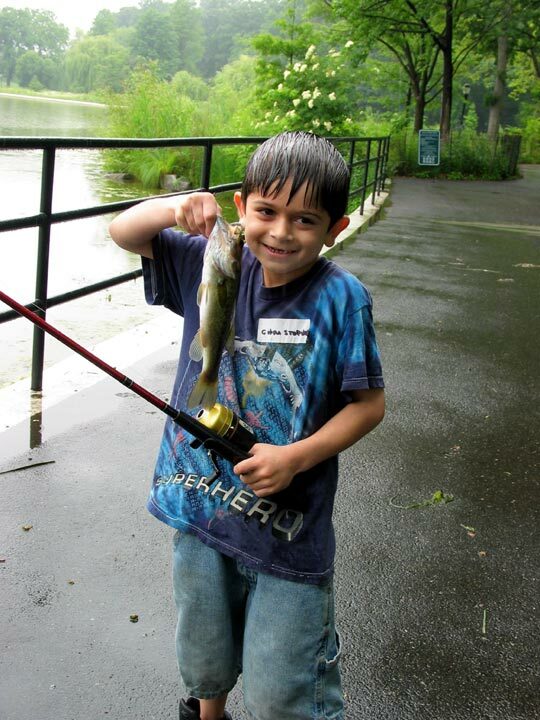 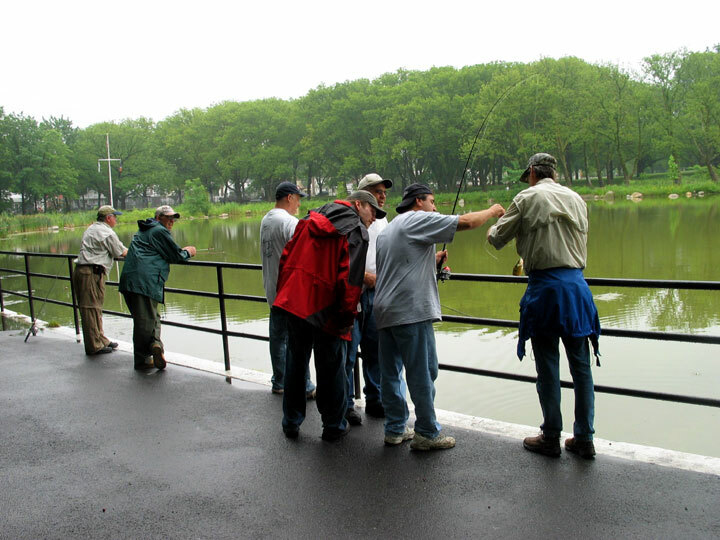 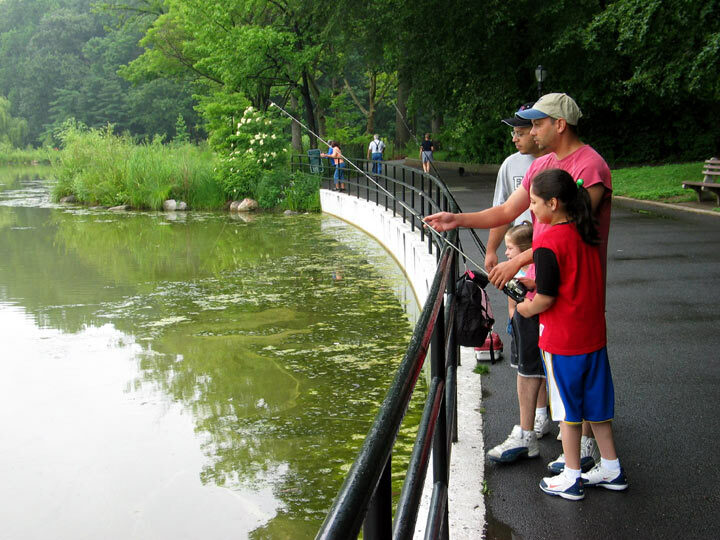 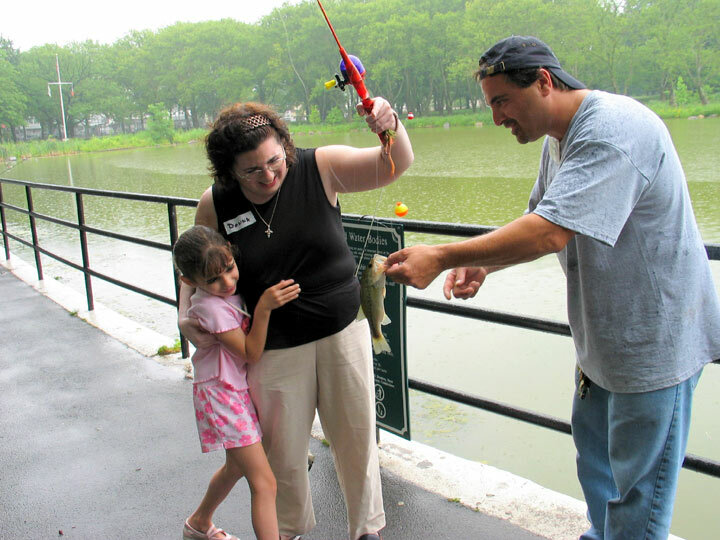 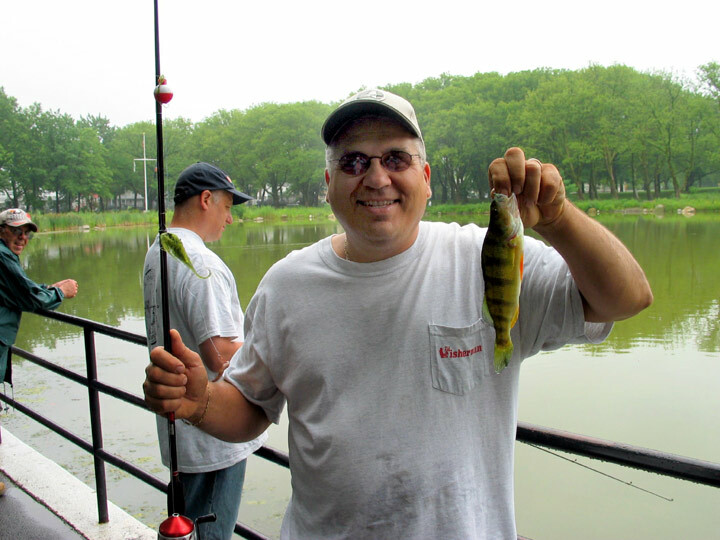 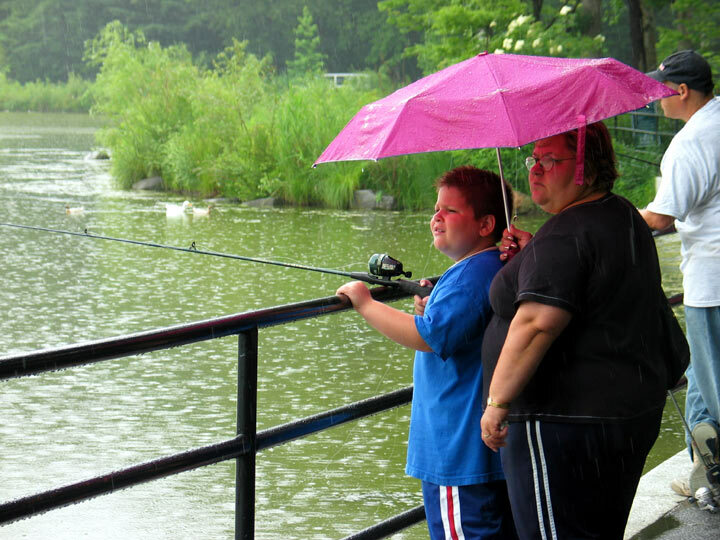 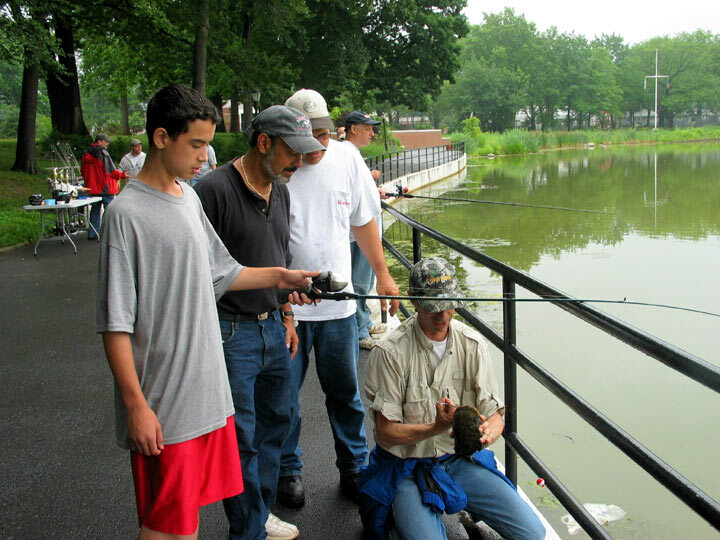 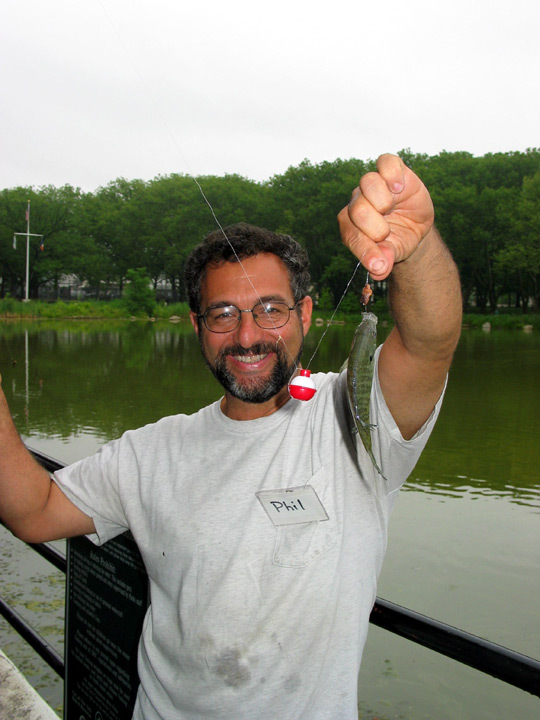 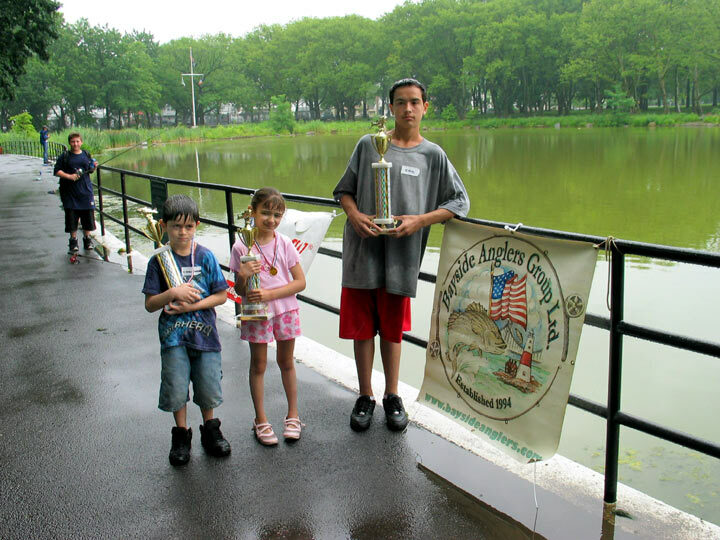 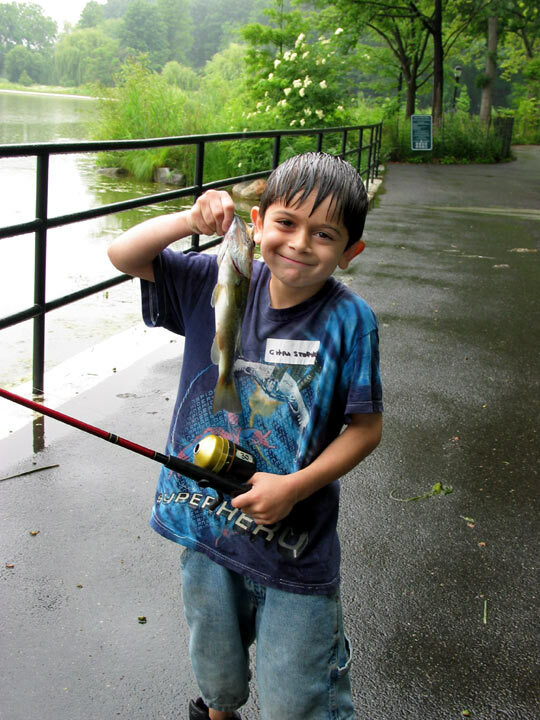 BAG’s June 24th Family Fishing Festival at Kissena Park Pond surprised everyone, with a determined cadre of junior anglers defying the rainy weather in their quest to catch a prize winning fish. 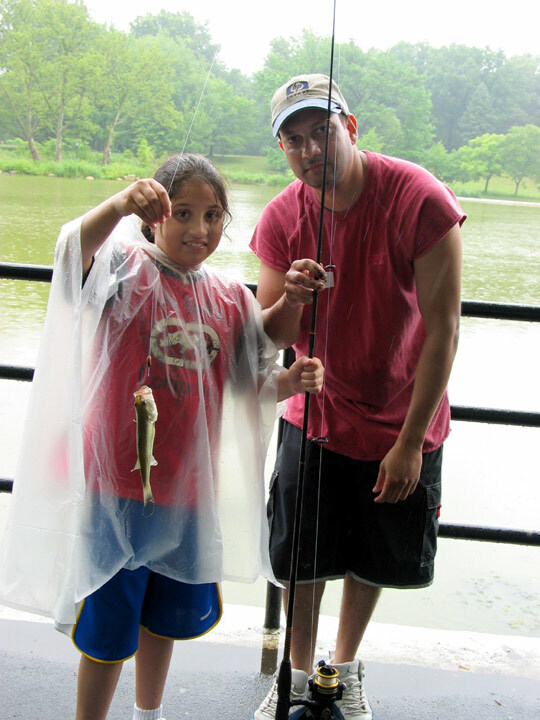 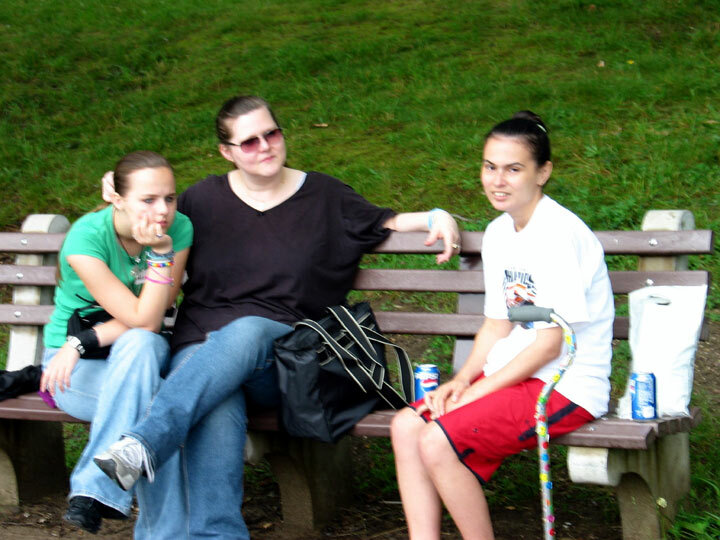 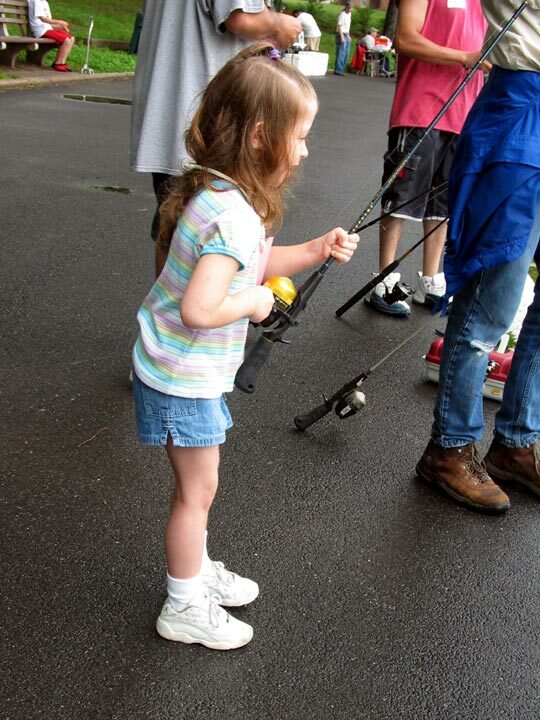 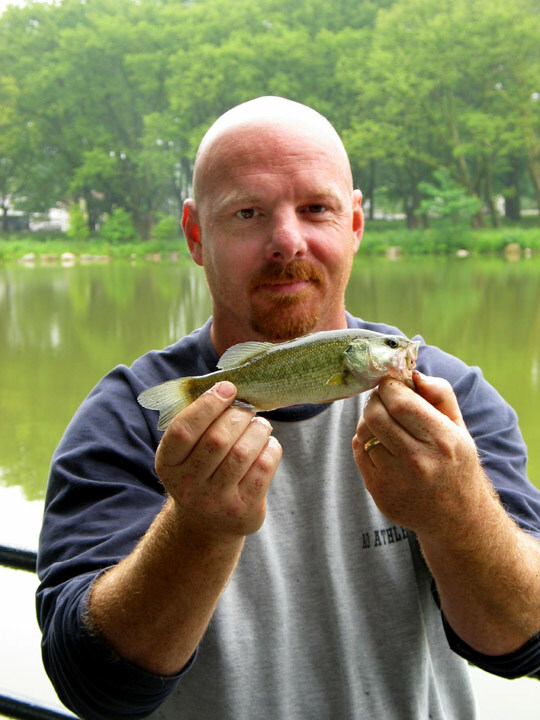 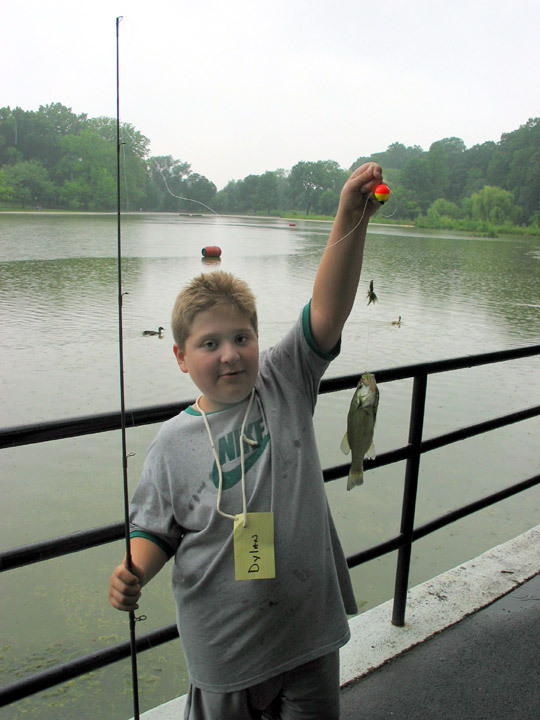 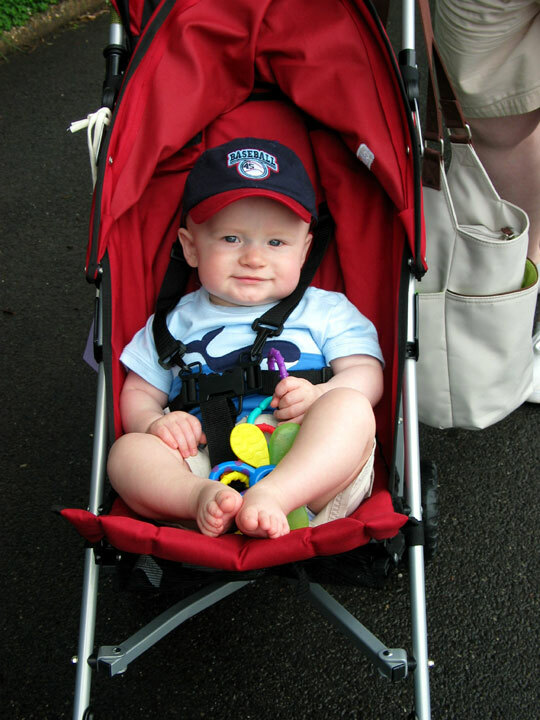 Every kid fished hard, and many of them managed to catch their first fish ever. 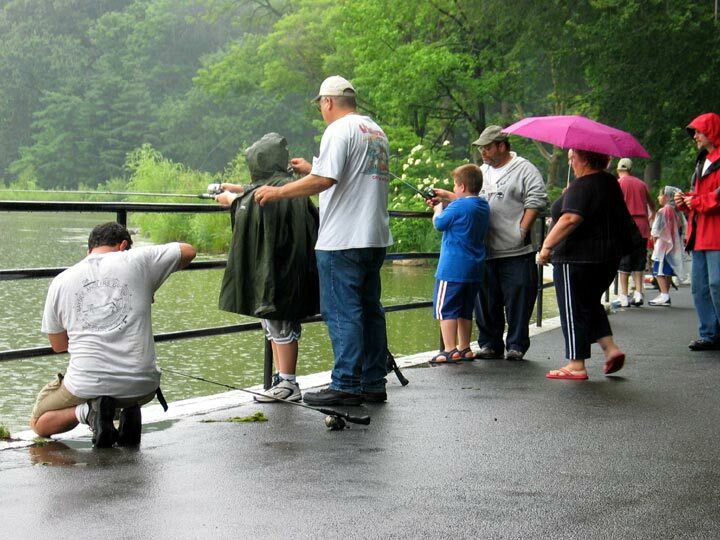 It was a big effort and a big success, and there are many who deserve recognition for their part in it. 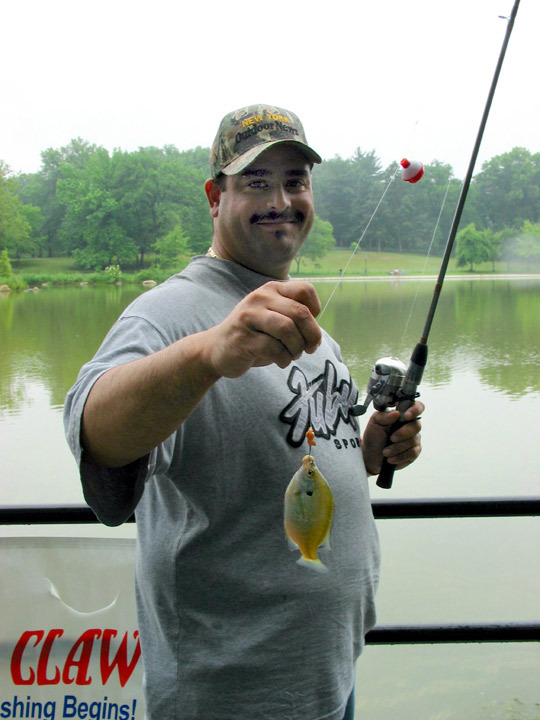 Bayside Anglers members gave lessons in baiting the hooks, using the tackle, and releasing the fish to fight another day. 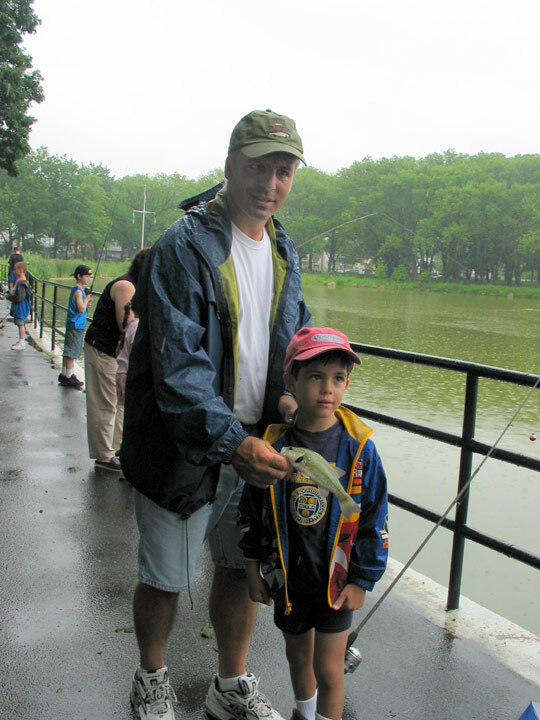 The kids were quick learners, and the adults were kept busy as the shouts of “Fish On!” could be heard from all quarters. 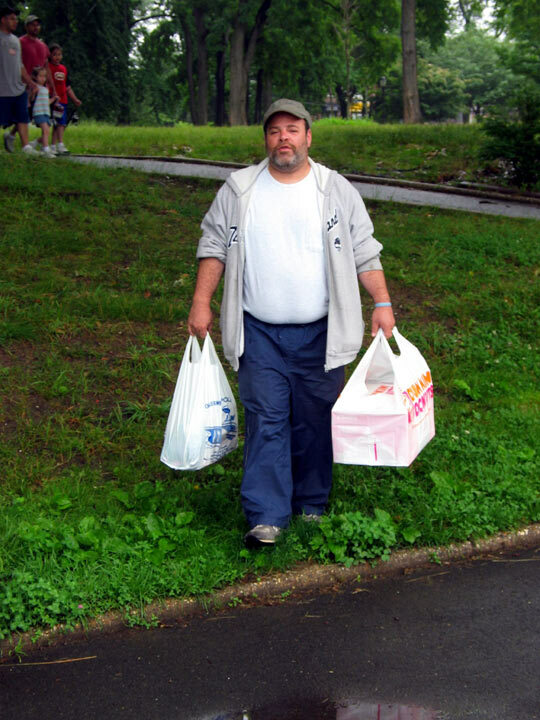 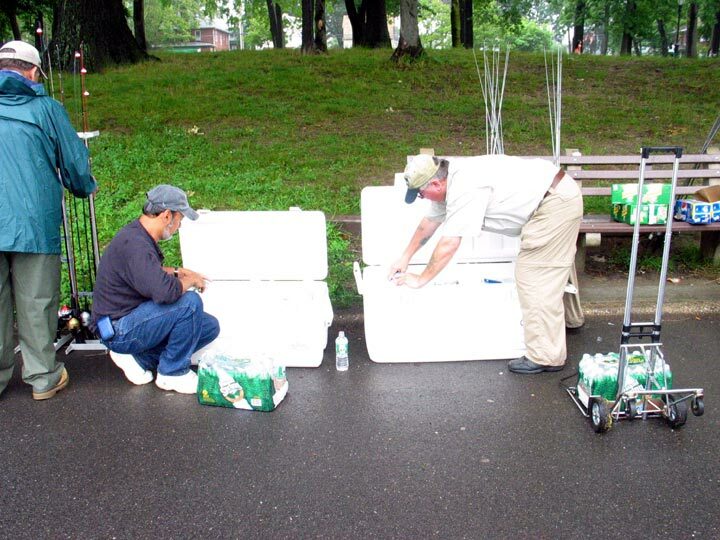 As usual, local bait shops were ready to provide a helping hand, and thanks go out to Pro Fishing of Flushing for their donation of bait for the participants. 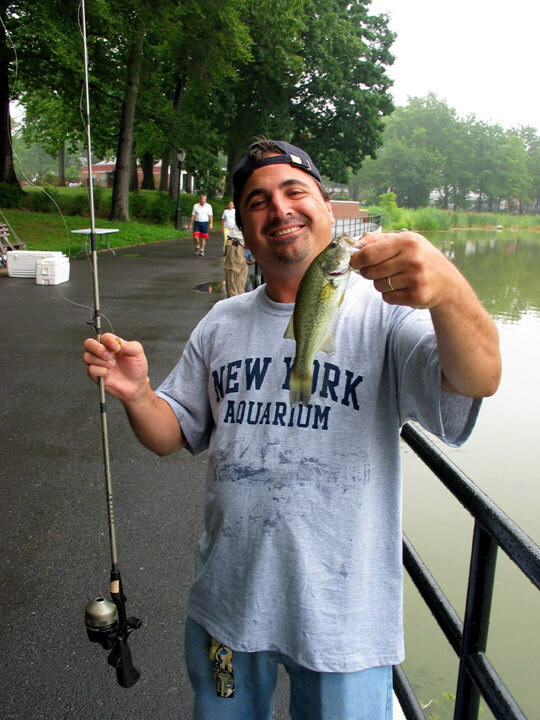 The Angler party boat of Howard Beach came through once again, donating a pass for a free half-day fishing trip on the boat for each participant. 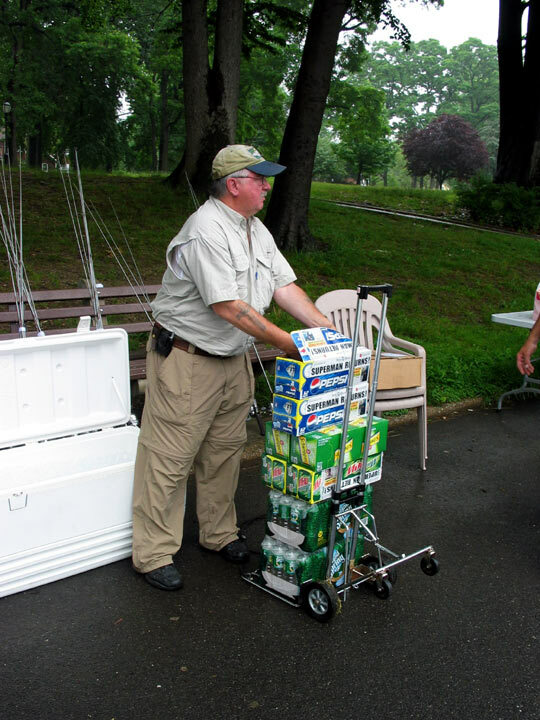 Cold drinks were donated by Body Pro Collision of Bayside. 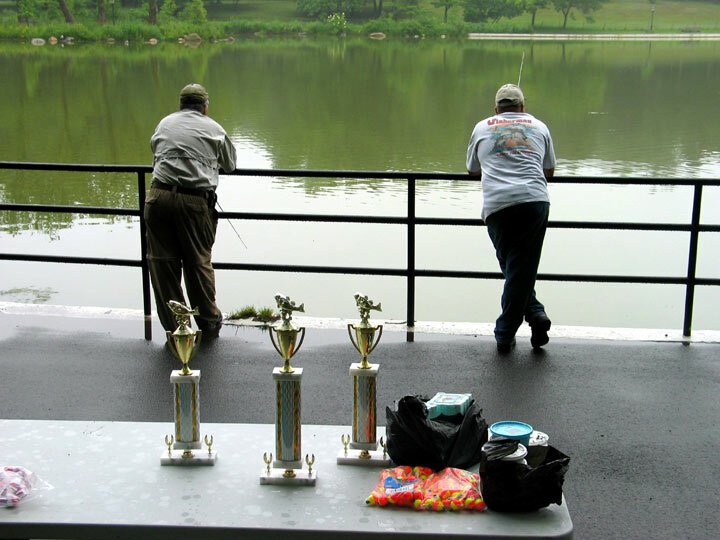 In addition to giveaways and raffle prizes, first, second, and third place trophies were handed out for the largest fish. 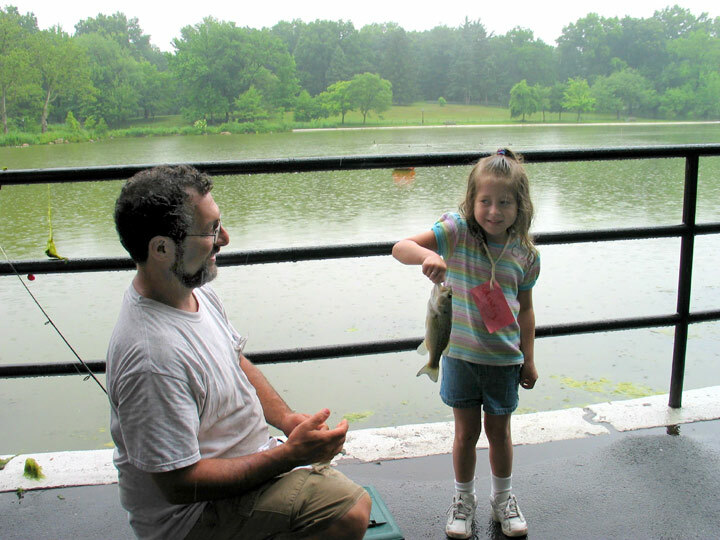 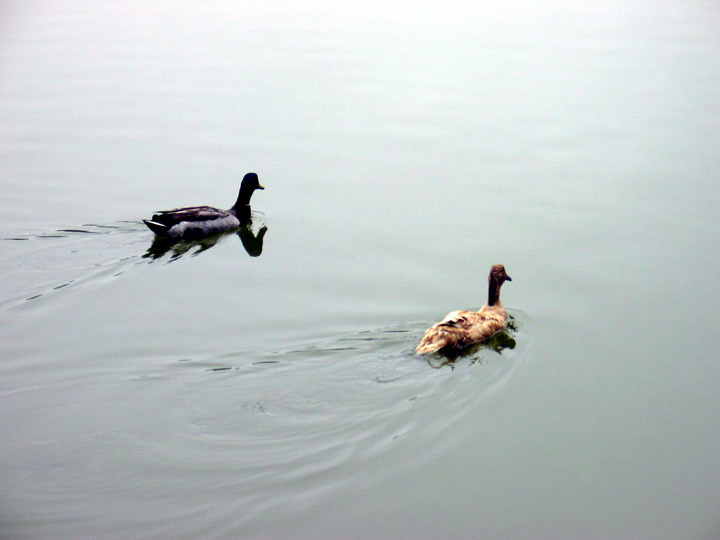 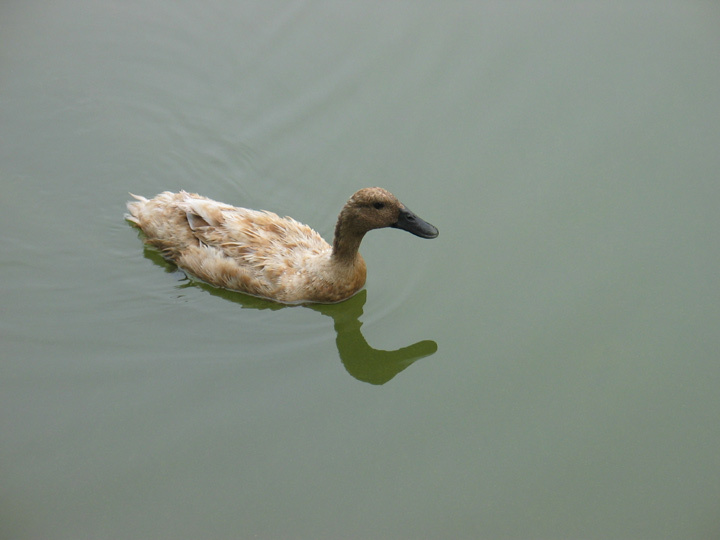 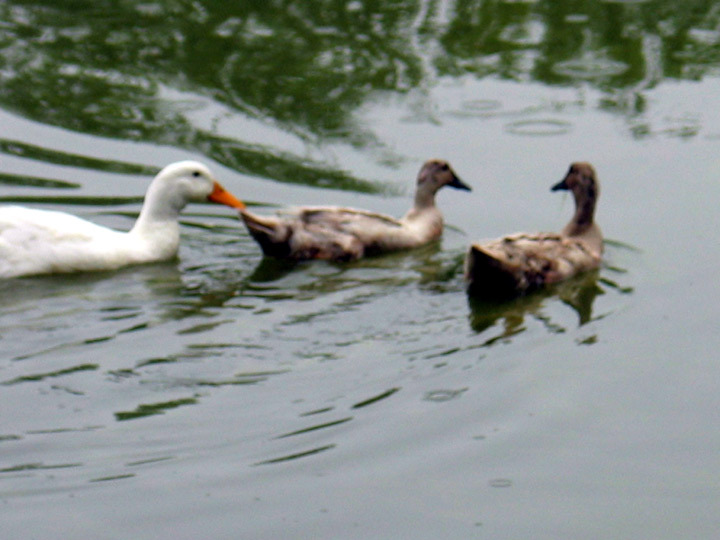 All fish were quickly and safely returned to the pond. 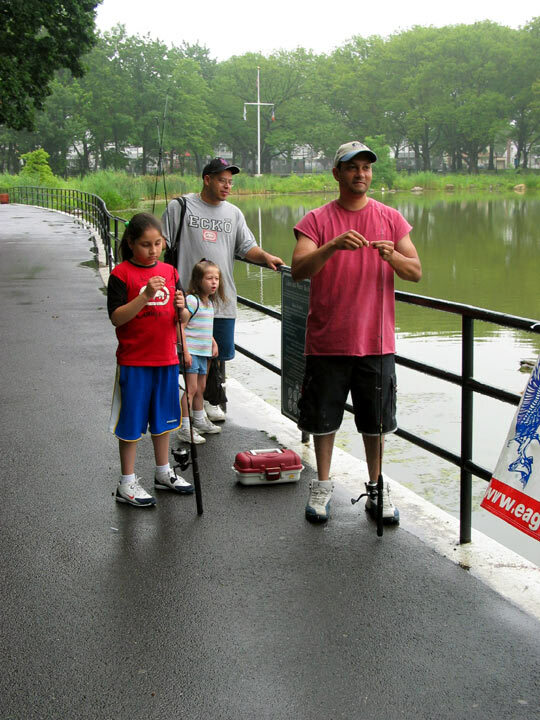 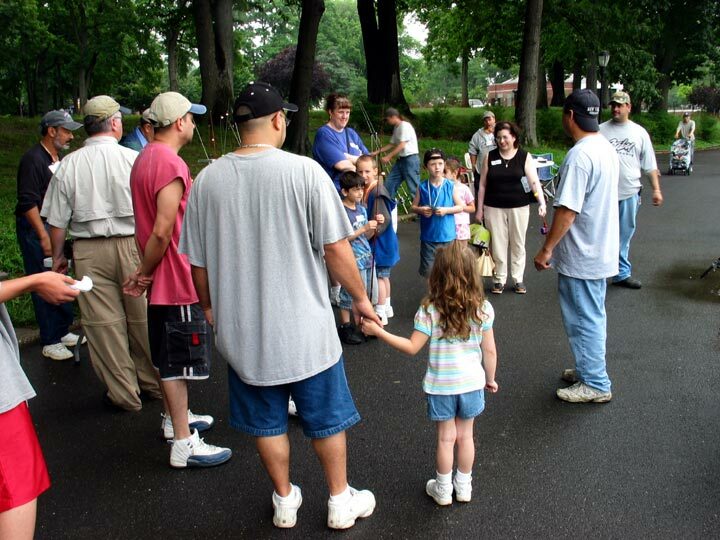 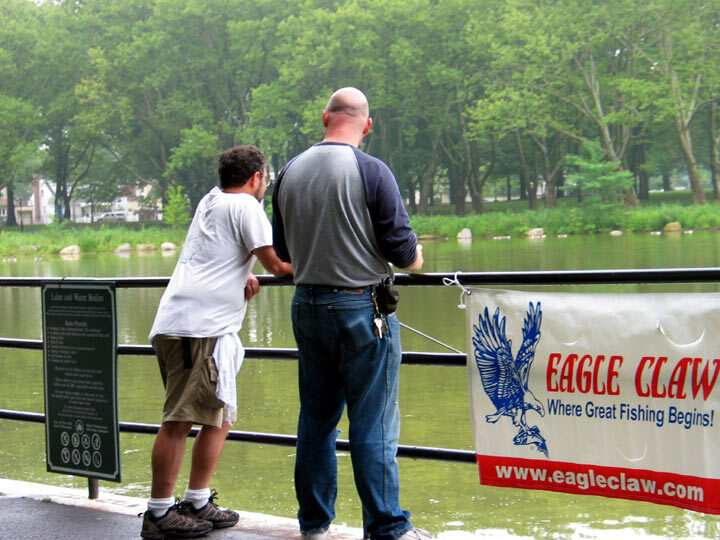 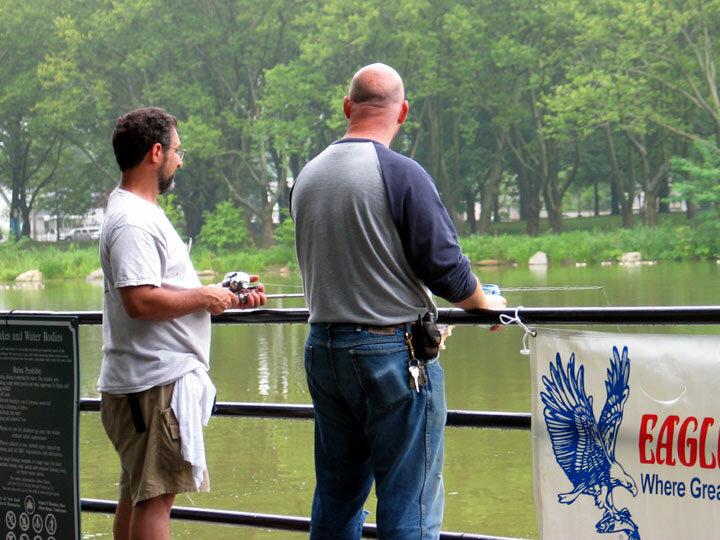 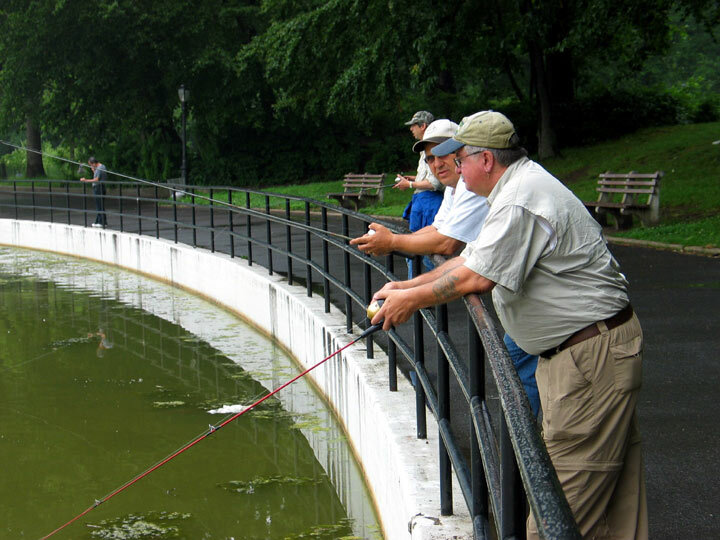 As always, Bayside Anglers Group wishes to acknowledge the support of the NYS DEC, the NYC Parks Dept. 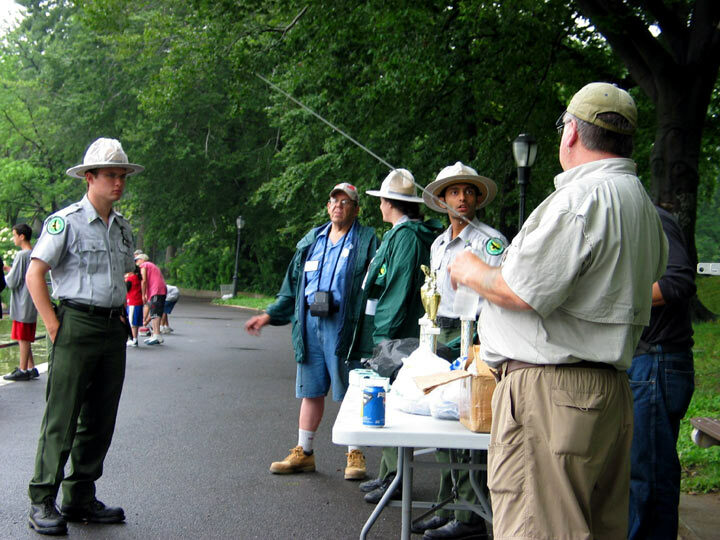 Partnership for Parks, and the Urban Park Rangers, each of whom supply assistance in every facet of these events from the planning to the execution, and to The Fishing Line & The Fisherman magazine for their help in promoting these events. 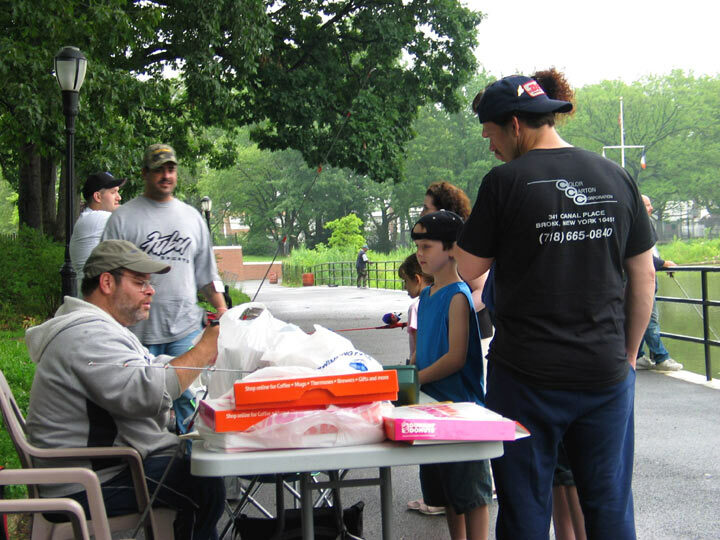 Check out the event pictures at www.Baysideanglers.com, and while you are there, read out about our next free kids event, August's Bayside Snapper Derby. 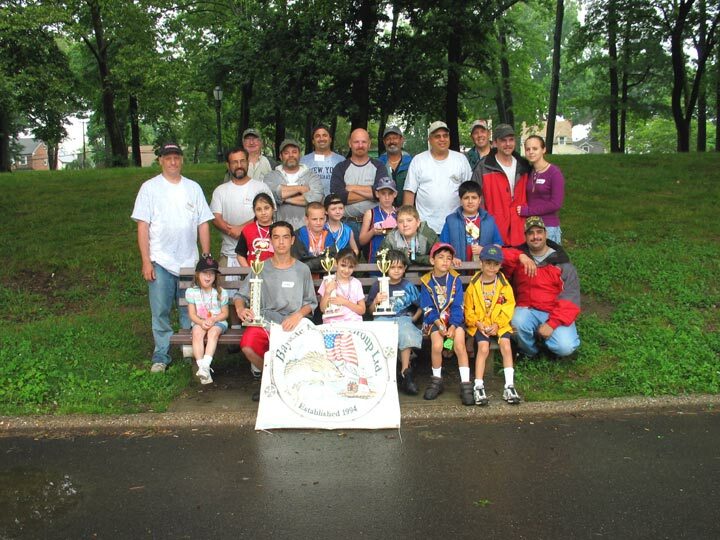 For further information E-mail Event Chairman Stanley Reichlin Jr. 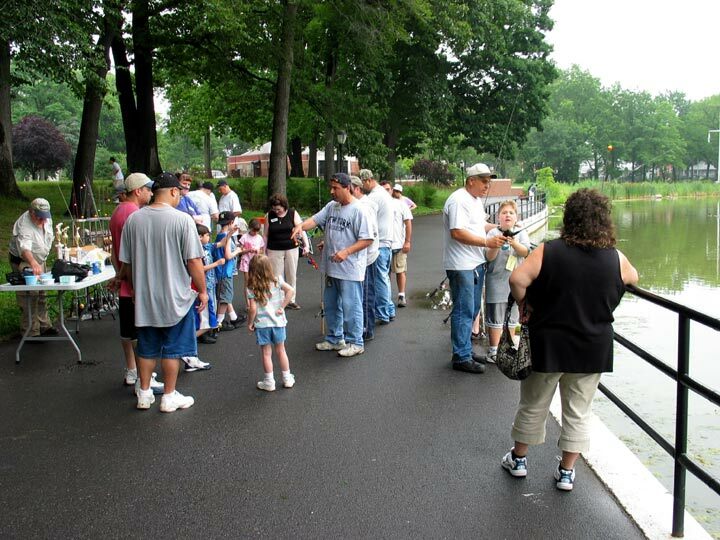 Thanks to all who turned out!